I mentioned in my last blog entry something about the New Guard. I thought I should write an explanatory note to clarify who they were. The appeal of fascism was that it was a staunchly anti-communist movement in the face of a perceived threat of a communist international revolution. The idea was that communism was such a threat that anything —no matter how brutal or ruthless—was justified to stop it. This is why the German version of fascism is called National Socialism, a nationalist-populist movement to oppose it to international socialism, which was communism—an alleged conspiracy of “international Jewry” to take over the world. 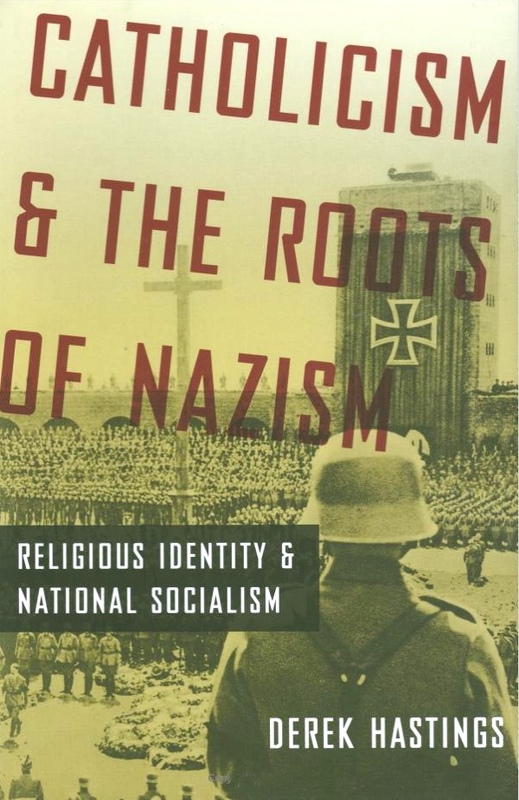 National Socialism was thus the supposed true voice of the people (Volk), driven by a militantly patriotic nationalistic fervour and populist bogan hatred of all that was “un-German” (undeutsch). Instead of chanting “Aussie! Aussie! Aussie! Oi Oi Oi!” it chanted “Deutschland, Deutschland über alles”. The interesting thing about Francis de Groot was that, despite his name, he was born in Dublin, Ireland. He was Catholic, just like Tony Abbott. And, like Tony Abbott, he was fanatically monarchist. As a reader of German, I follow the German media, along with other international media. 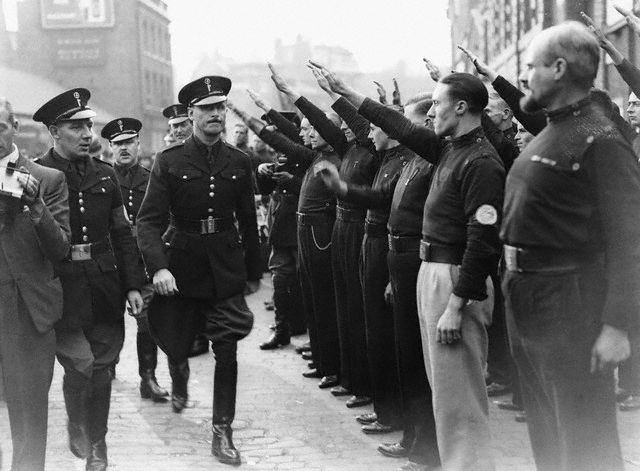 I find it interesting that the fact that fascists managed to take over the country and lead it to utter ruin means that ex-fascists have all either been hanged, imprisoned, outlawed or gone underground out of fear and shame. Ultra-right parties are banned by law there. The end result is that anything that even remotely smacks of the resurgence of the far-right would be immediately shunned or come under police scrutiny. The slogan “turn back the boats” would be impossible because many boats carrying Jewish refugees did indeed have their boats “turned back” and told to “go back to where you came from”. Likewise, the old nationalistic term “un-German” cannot be used without people being horrified. Not so with Australians, it seems, who have never been afforded a similar opportunity to get fascism out of their systems and where the word “un-Australian” has taken on a frightfully belligerent populist appeal. Today, the descendants of the New Guard look like they might have successfully managed to infiltrate the Liberal Party in pushing it to the extreme right of politics. Now the purpose of propaganda is not continually to produce interesting changes for the few blasé little masters, but to convince; that is, to convince the masses. The masses, however, with their inertia, always need a certain time before they are ready even to notice a thing, and they will lend their memories only to the thousand fold repetition of the most simple ideas. Adolf Hitler: Mein Kampf. New York: Reynal and Hitchcock, 1939, p. 239. Propaganda ist jedoch nicht dazu da, blasierten Herrchen laufend interessante Abwechslung zu verschaffen, sondern zu überzeugen, und zwar die Masse zu überzeugen. Diese aber braucht in ihrer Schwerfälligkeit immer eine bestimmte Zeit, ehe sie auch nur von einer Sache Kenntnis zu nehmen bereit ist, und nur einer tausendfachen Wiederholung einfachster Begriffe wird sie endlich ihr Gedächtnis schenken. Mein Kampf: Die feindliche Kriegspropaganda, p 203. Eher Verlag, Munich, 1943 ed. Nor does the mere fact that the far-right today dissociate themselves from the catastrophic failure represented by Hitler and National Socialism—understandably refusing to allow themselves to even be called by the now dated and pejorative term “fascist”—change the fact that it is just old wine rebranded into new bottles. Perhaps, we must all just resign ourselves to the fact that Australians simply have to be given a chance to get fascism “out of their systems” just like the Germans. Has the Capital of Australia Been Transferred to the Vatican? Recently Robert Manne, following fashionable opinion, wrote that “the science is truly settled” on the fundamental theory of climate change: global warming is happening; it is primarily caused by the emission of greenhouse gases, especially carbon dioxide and it is certain to have profound effects in the future. His appeal is to the “consensual view among qualified scientists.” This is a category error, scientifically and philosophically. In fact, it is also a cop-out, a way of avoiding the basic issues. The complacent appeal to scientific consensus is simply one more appeal to authority, quite inappropriate in science or philosophy. Thomas Aquinas pointed this out long ago explaining that “the argument from authority based on human reason” is the weakest form of argument, always liable to logical refutation. 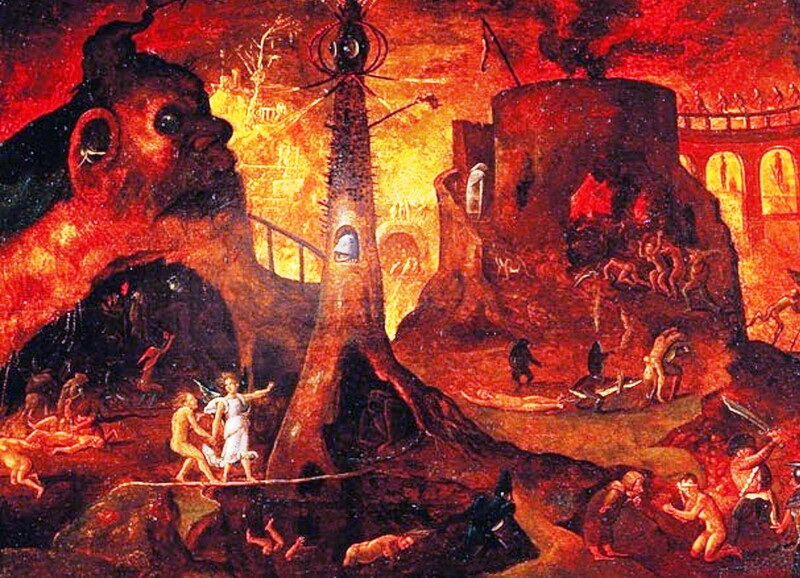 The immense financial costs true-believers would impose on economies can be compared with the sacrifices offered traditionally in religion, and the sale of carbon credits with the pre-Reformation practice of selling indulgences. Some of those campaigning to save the planet are not merely zealous but zealots. … To the religionless and spiritually rootless, mythology – whether comforting or discomforting – can be magnetically, even pathologically, attractive. Whereas only 25% of Australians identify as Catholic, a dramatic 47% of members of cabinet are Catholic. That is a simply extraordinary statistic—one impossible to dismiss as mere coincidence. The first fascist movement to come to power, Italian fascism, did so in a country that was 99 per cent Catholic and the seat of the papacy, and ‘clerical fascist’ movements came to power in another two overwhelmingly Catholic countries, the first Slovak Republic and the Croatian Independent State. 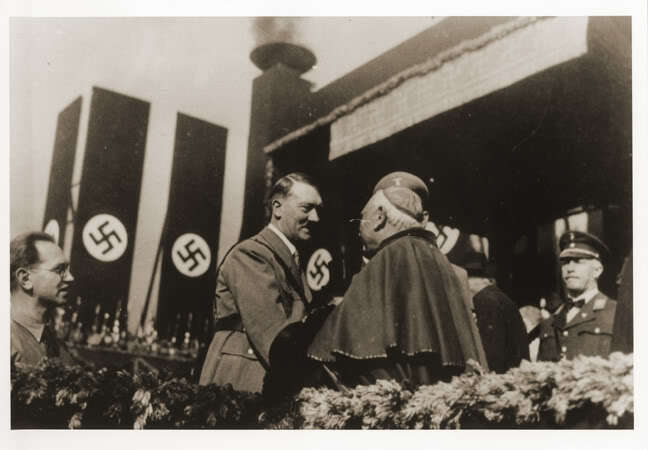 Fascist movements and regimes in other European countries also entered into relations with the Roman Catholic Church, and in broader terms, many Catholics, individually and collectively, were closely involved with fascist movements and regimes in the inter-war years. This is not to suggest anything so hysterical to the effect that the Liberal Party is now the Australian Nazi Party or that Tony Abbott is Hitler—that would be nothing more than childish mudslinging. Nor am I suggesting that the Catholic Church is necessarily a fascist institute. The catastrophe that the NSDAP engendered was the structural product of a whole series of historical events that coincided, including WWI, the Great Depression, the Treaty of Versailles, a series of catastrophic defeats on the Eastern front etc. Without the supportive set of structural circumstances, ideology alone is probably insufficient to precipitate such an extreme phenomenon. In any case, nearly all but a tiny minority of far-right parties staunchly dissociate themselves from National Socialism, which they almost universally vehemently denounce. However, the Australian Liberal Party today have lurched far to the right of other mainstream centre-right parties around the world e.g. the British Conservative Party, the National Party of New Zealand, the German Christian Democrats, the French UMP, the Liberal Democratic Party of Japan, and arguably even the Republican Party in the US. 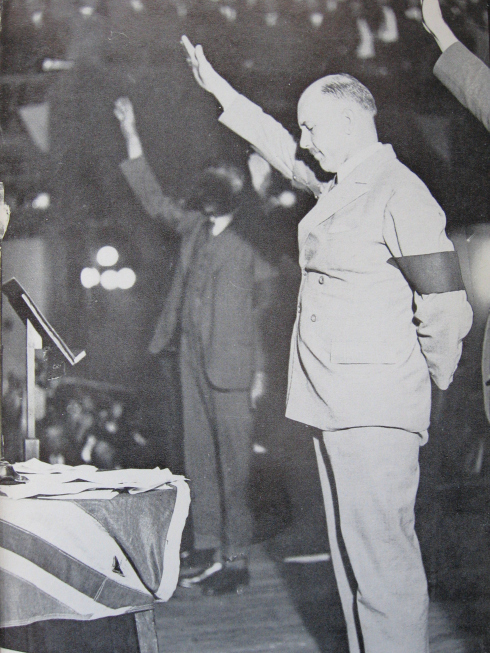 The immigration policy of the Liberal Party more resembles that of the far-right British National Party than that of the British Conservatives. Likewise, the ultra right French Front National’s policies echo those of the Australian Liberals. The sort of immigration policies pushed by the Liberal government earned them the rightful admiration of Anders Breivik. The criticism of the Liberals for having swung far to the right, to a position even more right-wing than even that of John Howard, is something that even former Liberal Prime Minister, Malcolm Fraser, finds extremely objectionable. The Liberal Party of Australia was never meant to be a far right Catholic reactionary movement, but today it finds itself straying away from classical moderate liberal conservatism towards the enactment of an irrational ideologically driven reactionary agenda reminiscent of the New Guard. Indeed, the Liberal Party today finds itself hardly more “liberal” than the National Socialists were “socialist”. 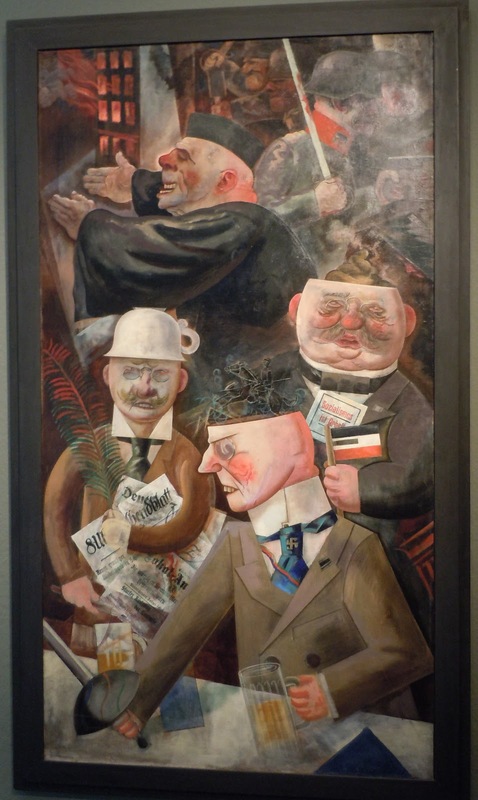 The following picture, based on The Pillars of Society (1926) by George Grosz, is an entirely humorous parody of the parallels between the politics of the Weimar Republic, and contemporary Australia. 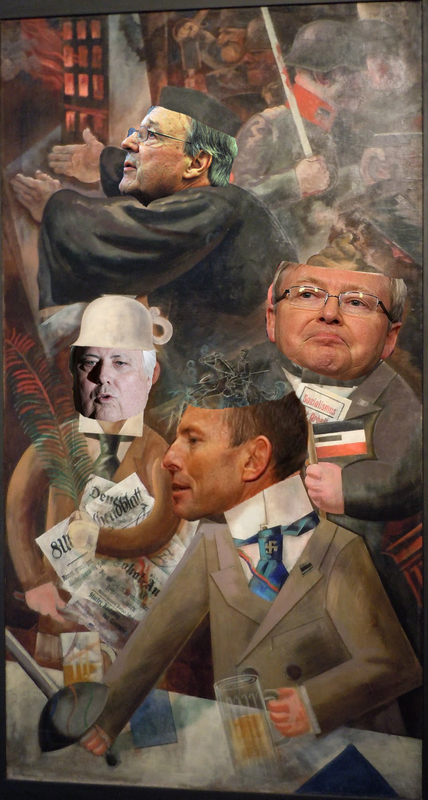 For those of you interested in the details of the background to the painting and its parallels to contemporary Australian politics, please see the previous blog entry (or perhaps two). Imagine having to vote in that election. Although the SPD today are a centre-left party, the equivalent of the Labor Party, in those days many of its major leaders were much more strongly influenced by Marx, even if they still believed in democracy and did not espouse revolution to set up a Soviet style Dictatorship of the Proletariat, like the KPD did. If you were not left wing, and staunchly anti-“Commie”, then the only viable right-wing party meaningfully large enough that you could hope it would stop your country turning into a Soviet style Communist Republic was the NSDAP. Prior to the rise of the NSDAP, the DNVP was emerging as a centre-right party capable of being a major political force. Previously the centre-right had been convincingly lead by Gustav Stresemann (of the DVP), but after Stresemann’s untimely death, the centre-right gradually shrunk to oblivion. Industrialists and bankers who once supported the centre-right put their money behind the NSDAP instead. In the 1932 elections, the DNVP won only 5.9% of the vote. In other words, voting for the NSDAP became just like voting for the Liberal Party in the Australian elections. However, there is another interesting statistic lurking in there. 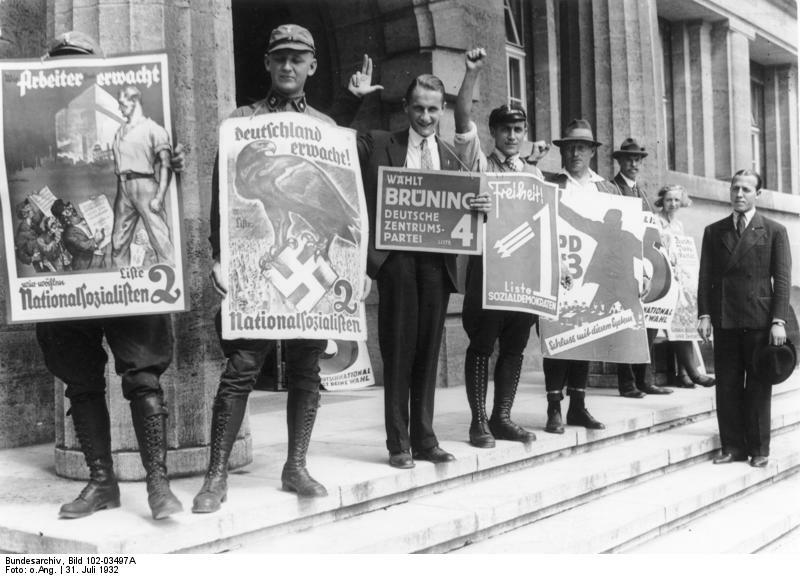 The political right remained reasonably united and cohesive around the NSDAP. The other smaller parties in the Reichstag like the Catholic Centrists and the DNVP were centre right parties (forerunners of Angela Merkel’s CDU), and would be more inclined to enter into a coalition with the NSDAP—after all they were considered by the Christian Right to be the lesser evil compared to the “Godless Commies”. On the other hand, the political left was far more deeply divided. Left-wing voters were unusually strongly divided between the SPD and KPD. Voting for the SPD was like voting for Labor, and, I guess, that means that voting for the KPD was like voting for the Greens. If you count up the seats and you add the SPD seats to the KPD seats, that is 133 + 89 = 222. That is almost as many seats as the NSDAP won in total (230). If the SPD and KPD had formed a coalition, as many after the war criticised them for failing to do, it would have been large enough to stand up to the NSDAP, and prevent their grab at absolute power. Unfortunately, the SPD and KPD were bitterly divided and refused to even talk to one another. The KPD assumed no such coalition was necessary because capitalism was so corrupt that it would soon crumble away allowing the impending utopia to fall into their laps. Tragically, the rest is history. George Grosz: die Stützen der Gesellschaft (The Pillars of Society), 1926. 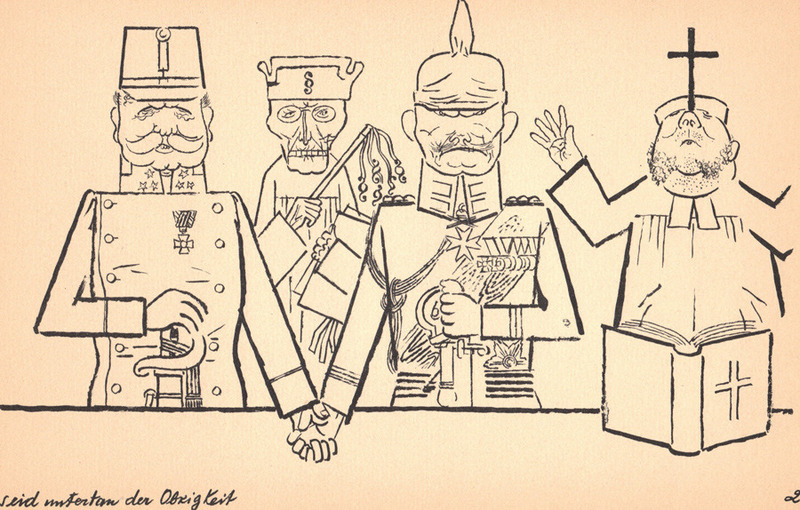 You can see caricatures of typical Weimar Republic voters. “Sozialismus ist Arbeit” translates as “Socialism means jobs”. The man with the chamber pot on his head is probably a caricature of Alfred Hugenberg of the DNVP. The NSDAP voter wears a black band in his lapel of a retired cavalry officer, and represents the typical landed gentry that supported the right along with big business and banks. 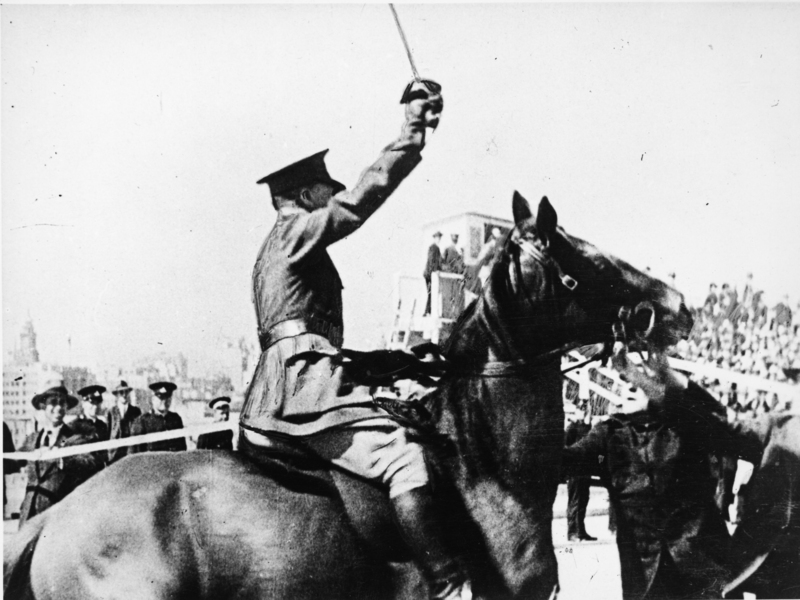 The Australian political swing to the extreme right has occurred in exactly the same manner as that of the November 1932 Reichstag elections. Only the backdrop to the Australian elections was the Great Recession (GFC), whereas the instability and voter division in the Reichstag elections occurred on the backdrop of the Great Depression, which had hit Germany especially hard.